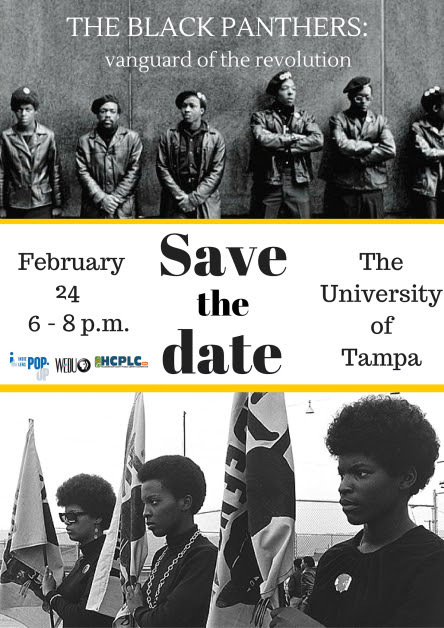 The communication department will host a screening of The Black Panthers: Vanguard of the Revolution. The event will be held Wednesday, Feb. 24 at 6 p.m. in Reeves. The film is the first full-length documentary that explores the significance of the movement to American culture and the challenging and often painful lessons learned when that movement derails. Members of The Black Panther Party for Self Defense put themselves at the forefront of the fight for equality and civil rights in an effort to transform the system. Created by documentarian Stanley Nelson, the documentary features rare footage from people who were at the scenes: police, FBI, journalists, white supporters, and Black Panthers who remained loyal to the fight and those who abandoned their efforts for change. According to socialistalternative.org, The Black Panther Party for Self Defense, formed in 1966 in Oakland, Calif., is considered the largest black revolutionary organization that has ever existed. This past Super Bowl, Beyonce’s backup dancers, clad in leather body suits and Black-Panther-style berets, were photographed backstage posing with their fists in the air, familiar to the black power salute made by Tommie Smith and John Carlos at the 1968 Mexico City Olympic Games. While some saw her fashion choice as an ode to Michael Jackson’s Super Bowl performance in ‘93, others saw the performance as a radical political statement meant to pay homage to The Black Panthers movement. The Black Panthers slogans, “power to the people” and “creating a better world,” were key in the fight for change against oppression and brutality that the black community faced in the ‘60s and ‘70s. These are revisited in the rise of today’s “Black Lives Matter” movement. For more information on the event, contact utcomdept@gmail.com.